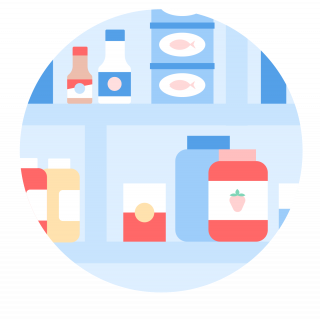 Stock your pantry with whole grains, proteins and spices to make frugal meals on the fly. Pantry staples are a frugal cook’s friend. With a few key ingredients at the ready, you can easily trade takeout for tasty homemade meals — a move that will benefit your budget and your well-being. When building up your pantry reserves, aim for a mix of whole grains, proteins and spices. Look for products with little to no added salt, sugar or preservatives. And focus on items that can do double or triple duty. A jar of marinara sauce, for example, can do a lot more than top off your pasta. Ready to start cooking? This list of pantry staples will help you whip up cheap, healthy meals in no time. It’s not exhaustive, though. So we encourage you to leave your own must-haves in the comments at the end of this page. Opt for whole grains, like quinoa and brown rice, which are loaded with protein and fiber. They will also leave you feeling full longer than white rice or pasta. The beauty of canned goods is that they have a long shelf life. When you see a good sale, stock up. 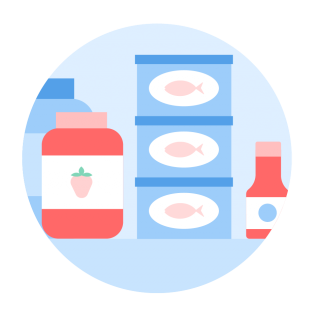 Pick products rich in nutrients, but free of added sugar, sodium or preservatives. Beans: black beans, pinto beans, garbanzo beans. Fish: tuna or salmon, packed in water. Salt, pepper and olive oil are great basics to use in nearly every dish. Additional oils, like avocado oil and canola oil, come in handy for baking and making homemade mayonnaise — a base for a variety of sauces. Vinegars are also great to have on hand to whip up healthy salad dressings in a snap. Dried herbs: oregano, basil, thyme. Vinegars: apple cider, red/white wine, balsamic. Round out your pantry (and fridge and freezer) with hearty vegetables, like potatoes, onions and carrots, which can last for weeks or even months if stored correctly. Nut butters are also great to have on hand to add to smoothies, sandwiches, soups and dressings. Nut butter: peanut, almond, cashew. Carrots (opt for whole carrots over pricier baby carrots).